We are dedicated to helping people with convictions find work and so we are acutely aware of the specific challenges they face in convincing employers to give them an opportunity. To achieve our goals, we partner with 350 Job Clubs across the country. When we spoke to the leaders and volunteers of these job clubs they told us that one of their biggest needs was training and resources so they could do even better at supporting people with convictions into work. 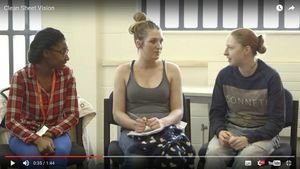 These workshops provide an interactive training experience to local volunteer-led Job Clubs, to equip volunteers with the knowledge and skills to better support prisoners on their release. Within these sessions we will also seek to train at least one Employer Ambassador who will work with local company branches (Clean Sheet currently holds a Directory of over 70 national employers), to broker interviews and volunteering placements for suitable individuals, and provide up-to-date information on safe and fair recruitment practices.